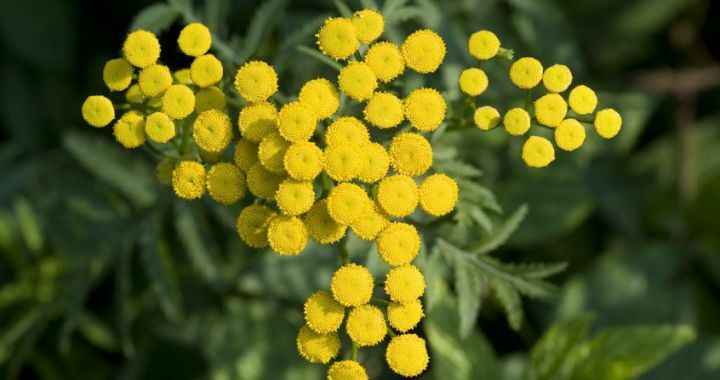 Strong smelling tansy is a must have in the organic garden to act as a natural insect repellent. In the Middle Ages dried tansy was one of the “strewing herbs” scattered across floors to keep pests away. Housewives also hung it from rafters, packed it between bed sheets and mattresses, and rubbed it on meat to discourage lice, flies, and other vermin. In more recent times, they have used tansy to repel moths and get rid of fleas. To use tansy plants for ant control, dry the flowers and leaves and sprinkle them around problem areas to form barriers or spread freshly cut leaves and flowers as a mulch around your garden. Common tansy is planted alongside potatoes to repel the Colorado potato bug, one study finding tansy reduced the potato bugs population by 60–100%. A bunch of tansy leaves hanging in a room are a traditional fly repellent. Posted in Insect Repelling and tagged natural, Organic, pest control, repellant.